TAMPA, FL (December 8, 2016) – Baldwin Krystyn Sherman Partners, one of the largest independent insurance brokerage firms in the U.S., has been ranked #5 in the annual Best Places to Work in Insurance program, which recognizes employers for their outstanding performance in establishing workplaces where colleagues can thrive, enjoy their work and help their companies grow. 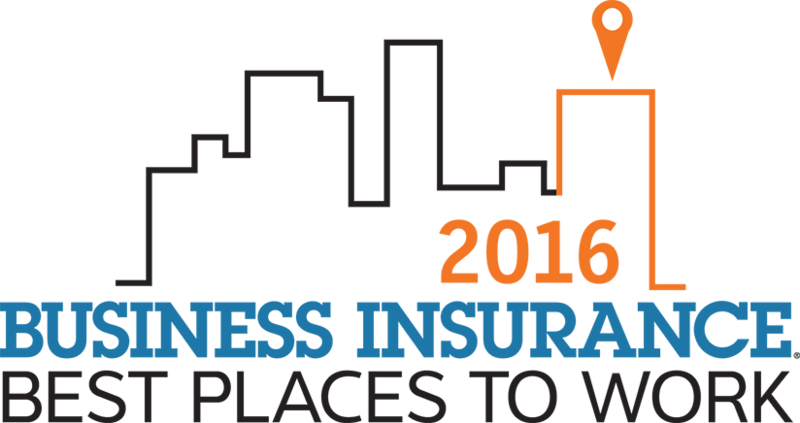 “Being named to Business Insurance’s list of the Best Places to Work in Insurance for 2016 demonstrates that BKS-Partners has built a culture in which employees are supported and engaged, which benefits there customers and the employers’ financial performance,” says Business Insurance Publisher Peter Oxner. Best Places to Work in Insurance is an annual feature presented by Business Insurance and Best Companies Group that lists the agents, brokers, insurance companies and other providers with the highest levels of employee engagement and satisfaction. Harrisburg, Pa.-based Best Companies Group identifies the leading employers in the insurance industry by conducting a free two-part assessment of each company. The first part is a questionnaire completed by the employer about company policies, practices and demographics. The second part is a confidential employee survey on engagement and satisfaction. The program divides employers into the categories of small, 25-249 employees; medium, 250-999 employees; and large, 1,000 or more employees. This year’s report features 74 companies of various sizes, from 25 employees to more than 6,500. The ranking and profiles of the winning companies was published in the December edition of Business Insurance and online at BusinessInsurance.com. Insurance Business America is the definitive source of news, opinion and analysis for commercial insurance broker and agents. Delivered online and in print, Insurance Business America keeps time-poor brokers up to date with the latest breaking news, cutting-edge opinion, and expert analysis affecting both their business and their industry. It also publishes a range of industry surveys and special reports that recognize key individuals and businesses as well as providing a snapshot of an industry that continues to evolve.